We provide complete wedding entertainment services. 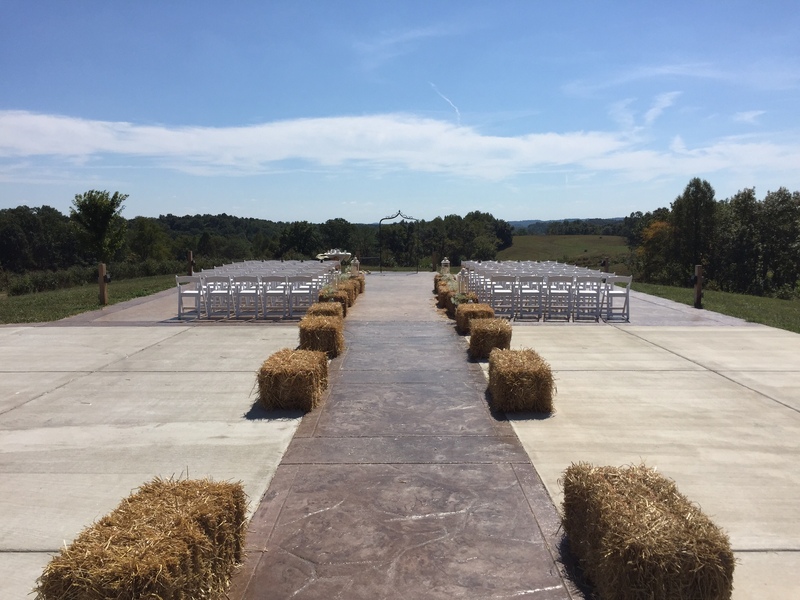 At Horizon Productions, we provide entertainment for all types of events, but if there is one area we excel and specialize at, it would have to be wedding reception entertainment. We pride ourselves in our knowledge and experience at making wedding receptions run smoothly. Our commitment to you is simple, “We will treat your wedding reception with the same care and attention to detail as we would our own”. Your wedding day is one of the most important days of your life and selecting the right music is the key ingredient to a successful event. Horizon Productions will take the time to carefully coordinate your special day to ensure that the memories will last a lifetime. 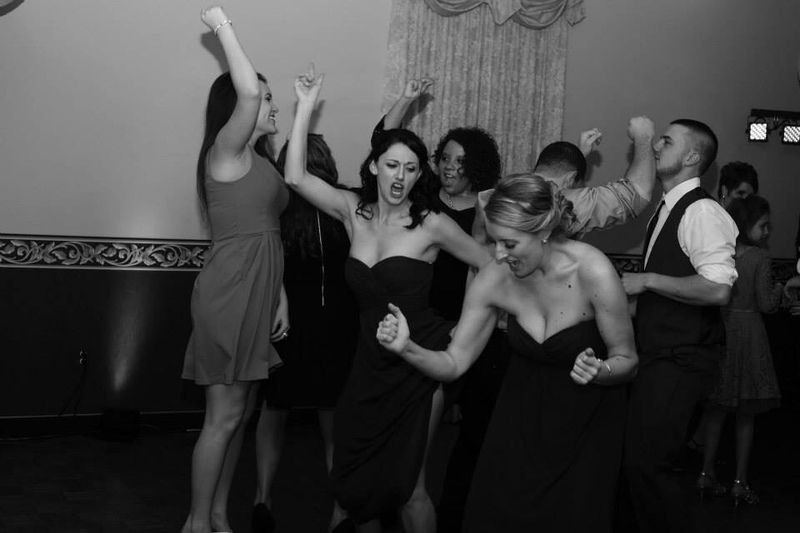 At Horizon Productions, we believe that music is the heart and soul of a wedding reception. We will work with you to make your wedding day unique and unforgettable. Use lights to coordinate with your wedding reception’s color scheme. Create the perfect ambience for your big day! 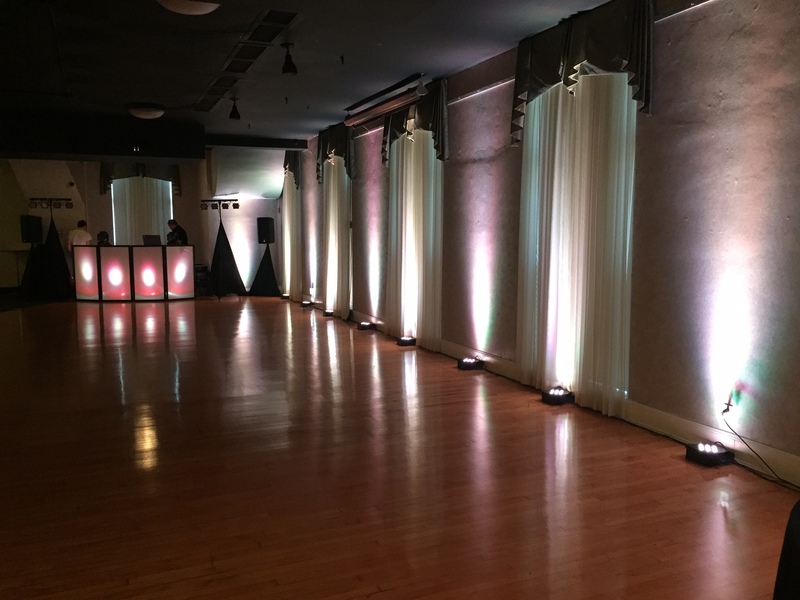 We use modern LED lighting fixtures that can match whatever colors you require for your big event. Use room up lighting to create columns of light that tie together your design and décor elements! Horizon Productions uses only the highest quality lighting and color palettes for your uplighting needs. We are also energy-conscious and use economical bulbs for our lights. Safety is another concern, so we use LED lighting that is cool to the touch and will not overheat or overpower circuit breakers. Want lights that change speed and colors? Let us program the design you want. Whatever uplighting you desire, we can supply it! Our ceremony service provides all the music you need for your wedding ceremony. This service starts with access to our music request page where you can let us know what songs you would like us to play for your Prelude, Processional, Bride Entrance, Interlude, Recessional and Postlude. Our wireless microphones are also included. On the day of your wedding, using our top of the line sound system we will professional blend the music to make your wedding ceremony perfect.